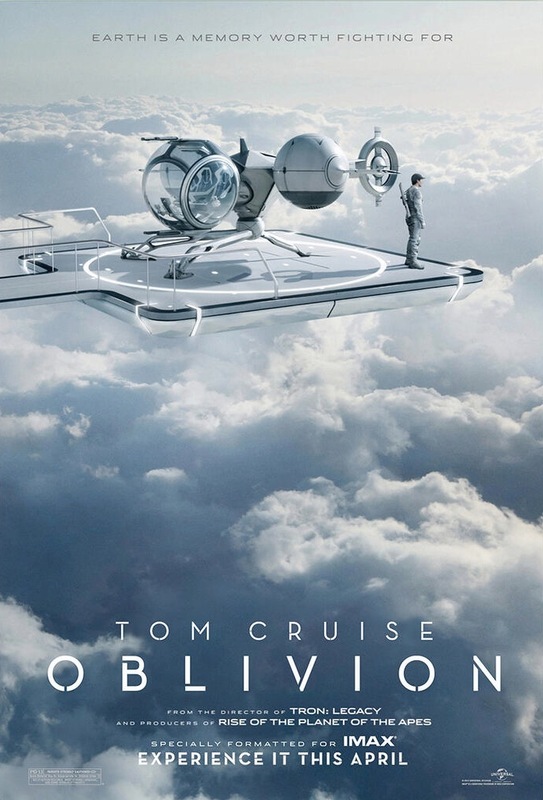 "Oblivion" Solid, Entertaining Film | Radical Studios, Inc.Radical Studios, Inc. Going into “Oblivion,” the next project by the director of“Tron: Legacy,” I was concerned, if not prepared for disappointment. “Tron: Legacy” was a visual masterpiece, but ultimately a pretty dry and forgettable film (aside from a killer soundtrack by Daft Punk). I was worried for a while that “Oblivion” might suffer the same fate. Thankfully, “Oblivion” is a thoroughly enjoyable action film with an interesting, if not unique, universe and story. In addition, it looks INCREDIBLE. “Oblivion” takes place a few decades after Earth’s moon was destroyed, with Earth subsequently attacked by an alien force desperate for a new home. While the humans technically won the war, the planet was destroyed and made barren in the process — so they migrated to Titan, Saturn’s largest moon. There are still vital resources on Earth, however. Technician Jack Harper (Tom Cruise) and his partner Victoria (Andrea Riseborough) are sent to protect the machines that are absorbing the ocean water for energy. Their job involves drone repair, sector sweeps and dealing with small contingents of the aliens that are still on the planet’s surface. They are watched over by the Tet, an enormous triangular prism that serves as a sort of visual constant, putting “Oblivion’s” world in perspective by being an omnipresent symbol for the rest of humanity. In that way, it reminded me of the Moon from “The Legend of Zelda: Majora’s Mask;” an awe-inspiring, unspoken reminder of an element of the story that you should not forget. Things get more complicated pretty early on. A crash landing of a ship containing humans, including Julia (played by Olga Kurylenko), a woman that Jack vaguely remembers from his life before Earth was lost, marks the beginning of all the strange stuff that tears away at Jack’s perception of his world. The way “Oblivion” slowly introduces tiny elements that redefine the narrative with each successive step. It never takes huge leaps that disorient you; it eases you through its fairly intriguing story. It helps that the plot is intriguing, because the film’s characters and performances didn’t do anything for me. Tom Cruise is charismatic and entertaining, but Jack Harper isn’t a very fleshed-out character, or at least not interestingly fleshed-out. What surprised me the most was that my two favorite actors in the film, Morgan Freeman and Nikolaj Coster-Waldau (who plays Jaime Lannister on HBO’s “Game of Thrones”), were saddled with the weakest characters and lines. Of a cast of characters that are hardly engaging or note-worthy, they managed to be at the bottom of those respective piles. How a film could’ve possibly made these actors its least interesting components is beyond me, especially one that gets a lot of other things right. Another part of the story that didn’t keep me wholly invested regarded Julia and her history with Jack. Jack’s amnesia makes sense in some regard, but the conclusion to the mystery surrounding her isn’t entirely satisfying. The world, however, is the star of “Oblivion.” The film’s vision of a destroyed Earth is quite inventive, despite the fact that the idea isn’t all that unique. Ruined Americana, like baseball parks and the Empire State Building, dots the landscape and gives the desolation a certain flare that is missing from some of the other post-apocalypse movies on the market. “Oblivion” is a really solid, entertaining action film that is deserving of your time. Its subject isn’t wholly original, but its execution is something to behold. I actually really enjoyed the film. Should the book ever see print, I’m there. Radical Studios is credited in the film. Plus Barry Levine (Radical Studios Founder) received a Producer credit and Jesse Berger (Radical Studios Founder) received an Executive Producer credit. The book will come out, we just have to wait until next year to release it. Stay tuned.